How Can I Turn On Or Off Lead Capture For My Quiz? To collect your quiz takers information you will need to enable lead capture. 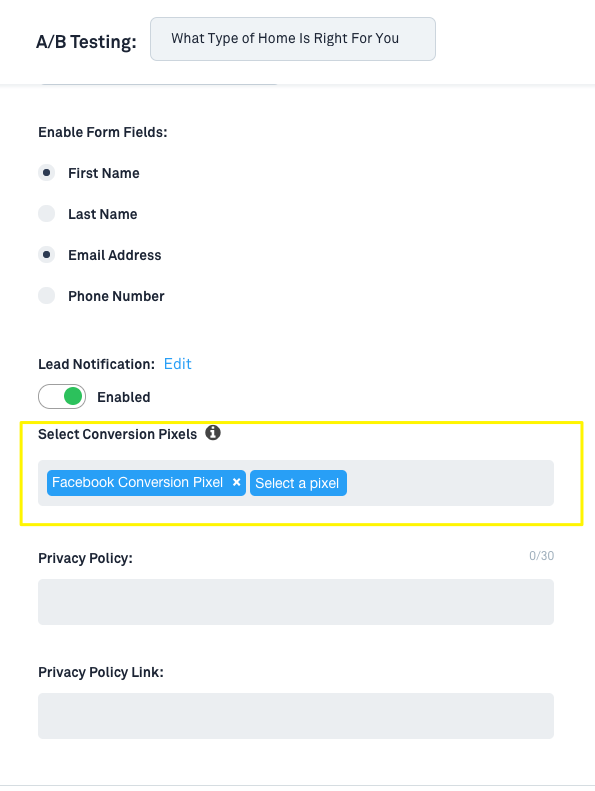 Learn how to enable lead capture using the steps below. 2. 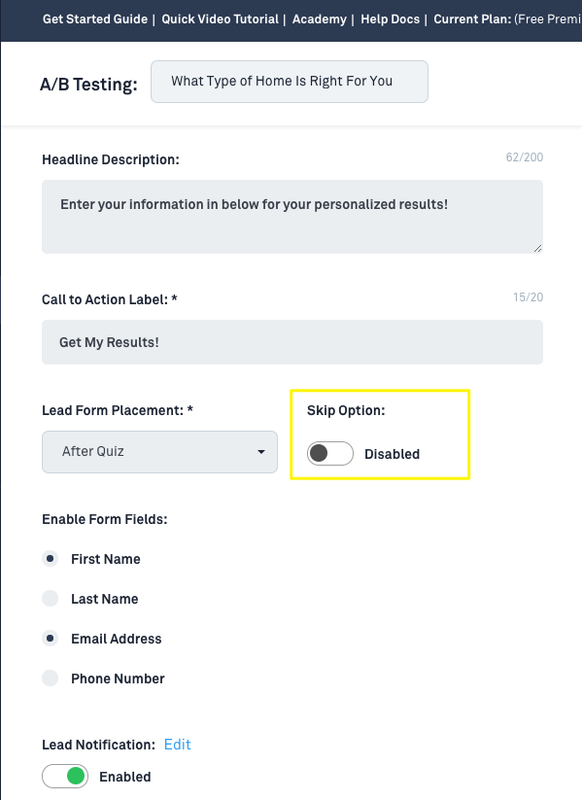 When you get to the "Leads" section in the quiz builder turn "Lead Capture" to 'Enabled'. As shown below. The "Headline" that they see. 2. The "Headline Description" that they see. 3. 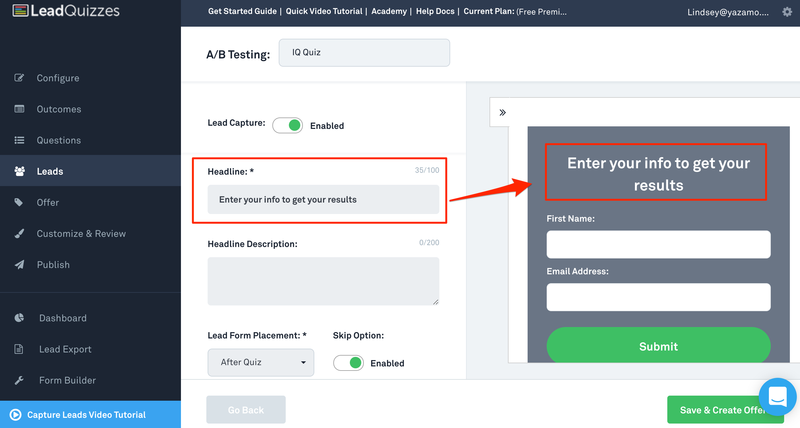 The Lead Form Placement (whether you want them to opt in before or after they take the quiz). 4. The option to skip opting in, which will give your users the option if they want to opt in or not. 5. The ability to insert multiple conversion pixels into the quiz. Important if you are running paid traffic to the quiz from more than one source. 7. When you are done completing the Leads section, select Save and Create Offer to move onto the next step.